The Deputy President of the Senate, Senator Ike Ekweremadu, has charged the Constitution and Electoral Reform Committee to help restore the fast declining independence of the Independent National Electoral Commission, INEC, in order to preserve the nation’s democracy. He also suggested single term of office to reduce desperation and impunity by politicians as well as the conduct of party primaries by the INEC to reduce the life and death struggle by politicians for control of party machinery. Ekweremadu stated this at the retreat organised by the presidential Committee in Uyo, Akwa Ibom State on Tuesday. He expressed worries that “Nigeria is sadly on the part of decline in its leadership role in Africa in almost all sectors, including electoral system”. The Senator who also chairs the Senate Committee on Constitution Review, explained that the essence of the amendments to Sections 81 and 156 of the 1999 Constitution by the National Assembly in 2010 was to guarantee the financial autonomy and neutrality of INEC, but lamented that the gains made from such provisions in the 2011 and 2015 general elections were being eroded. He said: “The word ‘Independent’ in the name of our Election Management Body, INEC, is critical and must be defended and preserved if our democracy must survive. “The bible says that if salt loses its saltiness, it becomes worthless and can only be thrown away. The word ‘Independent’ is the salt in our Election Management Body. All the past reforms and the present efforts will be meaningless if we sit back and watch some desperate politicians destroy the independence of our electoral umpire. “The world is watching too. We must ensure that INEC is retained to Independent National Electoral Commission in name and practice, not just National Electoral Commission as it is presently and dangerously drifting to. Inconclusiveness, postponement, cancellation, and manipulation are dangerous signs on the road to 2019”. He proposed a jail term without option of fine for security agents as well as staff and ad-hoc staff of INEC, whom he said currently “get away with brazen impunity and malpractices”. “It is wrong for anybody to engage in electoral malpractice, but it is even worse if guardians of the sanctity of the ballot box become the desecrators of the process”, he emphasised. The Deputy President of the Senate also said that a single term of office was the way to go to reduce the desperation of incumbents, which in turn defiles the electoral process and endangers democracy. “Much of the impunity, violence, and malpractices that defile our electoral system are caused by desperation for a second term of office; a single term of six years, for example, for incumbent executives to conclude all their ‘good work’, will certainly reduce the weight and influence they bring to bear on elections remotely or directly affecting them” he said. On how conduct of primaries by an indpendent INEC could help reduce the power struggles in political parties and ensure the popular candidates emerge, Ekweremadu explained: “This is the practice in Ghana. It will reduce the competition amongst stakeholders to take control of the party machinery. At the moment, it is almost a life and death matter during the primaries of political parties”. He said since the electoral laws were amended in 2010 to end funding of political parties by INEC, hence such funds should be channeled to financing conduct of party primaries by INEC. 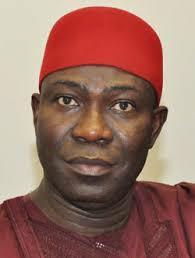 Ekweremadu also canvassed the amendment of Section 77 of the Constitution to allow diaspora voting, noting that “Nigeria has a theming diaspora community, both in terms of number and quality, and these people deserve to have a say in who governs their country, especially given their contributions to national development”. Other reforms he canvassed were rotation of presidential and governorship seats among the geopolitical zones and senatorial districts, respectively, possibly for a given period of time; compulsory electronic voting; early primaries; conclusion of pre-election matters before general election; and a hybrid of presidential and parliamentary system to reduce cost of governance and improve synergy between the executive and legislature. He pledged the commitment of the National Assembly to working with the presidential Committee to better the nation’s democracy.